It’s no secret that I’m claustrophobic. There are security guards at the St. Louis Arch who probably still talk about the girl who hyperventilated all the way up the elevator to the top (and wouldn’t go back down…for two hours). 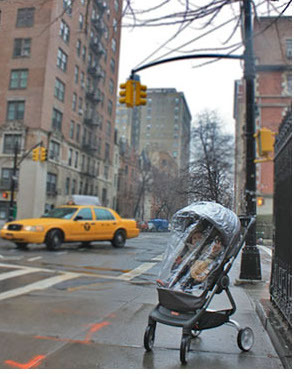 So I am happy to see small children today won’t have any problem at all with small, enclosed spaces…what with their mothers wrapping them in plastic inside their strollers!! I, on the other hand, am gasping for air just looking at those poor kids. Don’t they know their oxygen is running out? This entry was posted in Children, Family, Humor, Life, Walking and tagged children, claustrophobia, cough, elevator, gasping for air, Humor, hyperventilation, kids, life, oxygen, phobia, plastic covers, save the children, security guard, small spaces, sputter, St. Louis Arch, strollers, walking, wheeze. Bookmark the permalink.